Med-Peds residents spend the majority of their inpatient time at one of our four main teaching hospitals: University Hospital, VA Medical Center and Norton Childrens' Hospital. The latest medical treatments and techniques are available at these facilities. University of Louisville Hospital is the primary adult teaching hospital for the UofL Health Sciences Center. Primary, secondary, and tertiary care are provided to patients from southern Indiana , and central and western Kentucky. Our knowledge of the latest medical treatments and techniques ensures patients at University Hospital receive the most up-to-date treatment in the region. With 404 licensed beds, this acute-care tertiary hospital provides a full range of diagnostic, therapeutic, emergency, and surgical services, including the region's only Level I Adult Trauma Center and Comprehensive Stroke Center. Residents are assigned to the four general medicine services, two of which are staffed by our hospitalists. In addition, residents rotate in the MICU and CCU, and on subspecialty services. Robley Rex Veterans Affairs Medical Center provides services focused primarily on medicine, surgery, neurology, and psychiatry. Established in 1952, our VA offers a newly renovated Surgical Intensive Care Unit that highlights the 369-bed facility which serves 35 counties in the Kentuciana area. In addition to medicine wards and intensive care rotations, Med-Peds residents do consult medicine and palliative care rotations. Many residents elect to take their outpatient subspecialty rotations, such as their diagnostic cardiology elective, at the VA.
Norton Children's Hospital serves as the primary pediatric teaching facility for the University of Louisville's School of Medicine. It is the only freestanding full-service hospital 'Just for Kids' in the state of Kentucky. The entire facility is designed and decorated to meet the specific needs of infant to adolescent patients. There are 267 beds, including one of the country's largest level IV Neonatal Intensive Care Units. This state-of-the-art neonatal intensive care unit includes ECMO (artificial lung) capabilities. Construction of the Jennifer Lawrence cardiovascular intensive care unit is underway to support expansion of the Norton Childrens' Heart Institute, which provides over 450 cardiac surgeries annually. 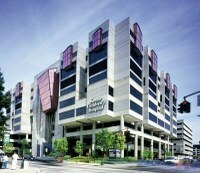 NCH houses pediatric cardiac, bone marrow and kidney transplant programs. The emergency department has the region's only trauma center for children. Med-Peds residents work with hospitalists, subspecialists, and emergency medicine specialists to become proficient in the complete care of ill children. The non-medical services, such as pediatric surgery and its subspecialties, pediatric radiology, anesthesiology, and psychiatry all lead to enhanced learning for our trainees.